In filling the three legislative vacancies he has created in building his new administration, Gov.-elect Larry Hogan said he’d like to see a more open nominating process used by the Republican central committees and more candidate names for him to fill the seats. 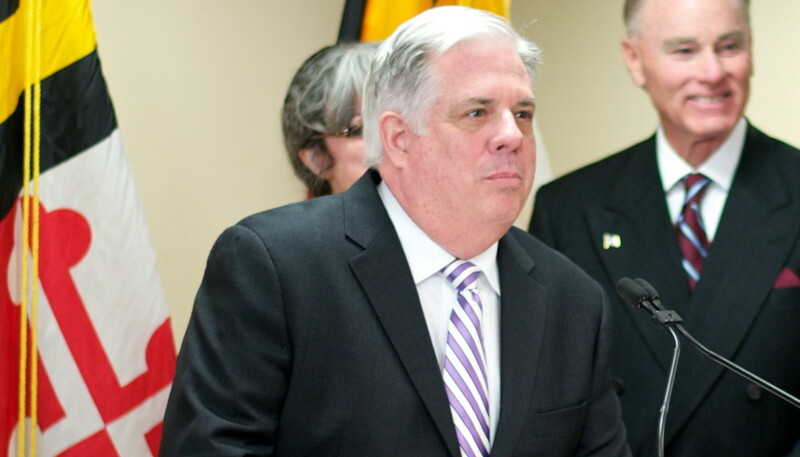 Two GOP committees have already acted to fill the seats opened when Hogan appointed Del. Kelly Schulz of Frederick County to be secretary of Labor, Licensing and Regulation, and Sen. Joe Getty of Carroll County as his legislative and policy director. On Tuesday, he also named Sen. Chris Shank of Washington County to be his director of the Office of Crime Control and Prevention, creating a third vacancy. In Frederick and Carroll counties, the small Republican Central Committees have already named one person for each seat, creating controversy in both counties. In Frederick for the Schulz seat, the party committee nominated Barrie Ciliberti, a former Montgomery County delegate, who came in fifth in his party primary in which he ran with Sen. Mike Hough whose wife JoeyLynn chairs the central committee. The committee did not interview Wendi Peters, a Schulz running mate, who got more votes than Ciliberti. In Carroll County in particular, the nine-member party committee has caused an uproar by using a completely secret process to nominate Robin Frazier to Getty’s seat. Frazier lost her bid to be reelected as a Carroll County commissioner in the Republican primary. She stirred controversy by many positions during her stay in office, including her insistence on praying in Jesus’s name at meetings of the county commissioners, despite a federal court order to stop. In fact, the provision in the Maryland Constitution that outlines the process only talks about sending “a name” to the governor, but Gov. Parris Glendening began the custom of seeking three names to choose from. Senate President Mike Miller also noted that the central committees may have jumped the gun by nominating people before the vacancies technically exist. Schulz, Getty and Shank were all sworn in again as members of the General Assembly Wednesday, and they cannot be appointed to their new administration jobs until next Wednesday, Jan. 21, when Hogan is inaugurated. Miller said the central committees should take another vote when the seats are actually vacant. Three Republican sources familiar with what took place behind closed doors in Carroll County said Frazier got five votes and Del. Justin Ready (pronounced REEDY) got four votes. Ready was recently reelected to the House with 34,789 votes and was the top vote-getter in the Republican primary with 10,567 votes. He was presumed to be the leading candidate for Getty’s seat. Frazier got 1,753 votes in her primary loss to Stephen Wantz, who got 2,563 votes then won the general election. Ready declined to comment for this story. None of the names of the people who applied was released, and the vote of the central committee was not formally disclosed. The closed process, political jockeying and lack of public involvement in filling legislative vacancies were not unusual for central committees in both Democratic and Republican parties. Legislators from both parties have told MarylandReporter.com that they are working on legislation to reform the process. This might include greater openness in the initial appointment, and requiring that the candidates run for election during a presidential election year if they are appointed in the first year of a four-year term.